Bieger Law, PLC, helps workers in both Tennessee and Virginia navigate the complex bureaucracy of workers' compensation in order to get fair compensation for work-related injuries. If you are disabled and are unable to work and provide for your family, at Bieger Law we will let you know what your options for benefits are and help you. Social Security Disability benefits can be difficult to obtain and people who deserve benefits can be denied. When individuals in Tennessee and Virginia are injured in vehicular accidents or on someone else's property, they can turn to Bieger Law, PLC, to develop a strong case and pursue full compensation through insurance companies or in court. When developing the defense in a criminal case, strategy matters. The prosecution often strategizes in deciding which cases to take to trial and which to negotiate a plea bargain for. In 30 years of practice, Dan Bieger has seen every type of case imaginable. He has worked as a criminal prosecutor, gaining important insight into how to prepare a winning legal defense strategy. When his clients are faced with the threat of significant jail time for alleged criminal activity, he devises a plan to give them the best opportunity for a favorable outcome. He is licensed to practice in both Virginia and Tennessee, as well as before federal courts, including the U.S. Supreme Court. He has been a member of both the National Board of Trial Advocacy and the Virginia Trial Lawyers Association for more than 25 years. 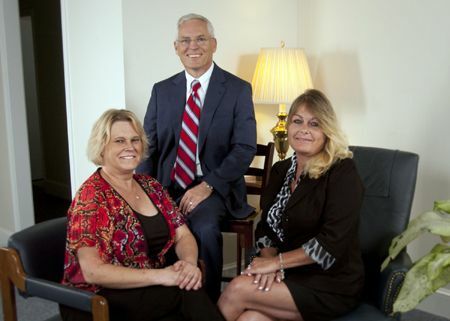 Bieger Law, PLC, addresses our clients’ varied needs in a number of practice areas. We aggressively represent individuals who have received traffic tickets or been charged with driving-related crimes, theft crimes, drug crimes and other criminal offenses. 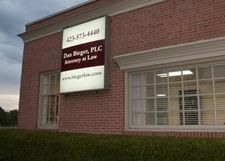 Dan Bieger puts his years of experience and service as a prosecutor to work for his criminal defense clients. Individuals who suffer injuries in automobile crashes or other accidents can rely on us to provide superior personal injury representation. We thoroughly look over every aspect of a client’s case to determine the best claim to pursue for compensation. Our clients depend on us to get them monetary relief for their injuries, and we work hard to deliver results. We assist workers in both states with the complexities of the workers’ compensation system. We represent all types of workers and have special experience meeting the needs of coal workers who have been injured in the dangerous environment of coal mines. We believe that hard workers deserve fair compensation when they are injured while performing their job duties. We welcome you to speak with our experienced Bristol criminal law attorney for a free consultation. Send our Bristol office an email or call 423-573-4440. Mr. Bieger is licensed to practice law in both Tennessee and Virginia and is proud to be selected to Super Lawyers through attaining a high-degree of peer recognition and professional achievement.